Whether you are planning on completing your latest project or just trying to sit back and relax, keeping the inside of your garage cool can prove to be a challenge during the hot summer months. 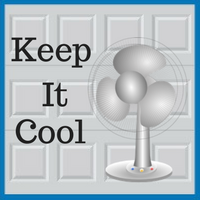 Listed below are our top five ways to keep your garage cool when the weather turns hot. 1. Insulate your garage. Unlike the other walls in your home, your garage door was not designed with climate control in mind. No amount of air conditioning will cool your garage if the door exposes it to the outside heat. Whether you use form, wood, or tape, a well-insulated garage door will cool your garage and cut your energy bill. 2. Install an air conditioning unit. Ranging from $150 to more than $500, window and/or wall-mounted air conditioning units are a reasonable way to cool your garage. Whether you have one professionally installed or you choose to do it yourself, an AC unit will surely cool you off while you tackle your latest project. 3. Install a fan. With a variety of options to choose from, installing a fan in your garage is one of the easiest ways to cool off your favorite work space. Most hardware stores offer basic box fans for under $50 (with premium options available). Ceiling fans can be installed on a single weekend afternoon and typically cost just over $100. Both options are likely to suit the needs of your garage. 4. Paint your garage door a light color. A simple way to beat the heat is to make sure you are not absorbing it. While you may prefer to stand out from the crowd with a distinctly painted garage door, a light-colored coat of paint could be instrumental in keeping you cool. 5. Create an airflow through your garage. If you are looking for a low-effort solution, our best recommendation would be to create an airflow in your garage. By slightly cracking open the bottom of your garage door, you can create a tunnel of wind that will temporarily turn your garage into a breezy tropical beach. 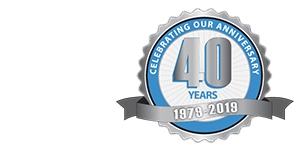 If you need assistance with keeping your garage cool, please contact our garage experts at Blue Sky Builders today. For more information and tips on making your garage the coolest one on the block, visit us online at www.blueskybuilders.com or call us at 630-852-8485.